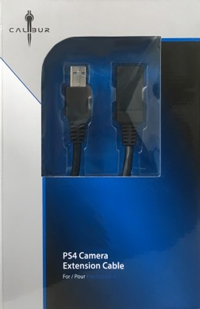 Our Playstation 4 Camera Extension cable allows you to extend your PS4 Camera or VR set. Calibur11 has teamed up with EPIC Games to create a Gears of War 3 Vault players can be proud of. 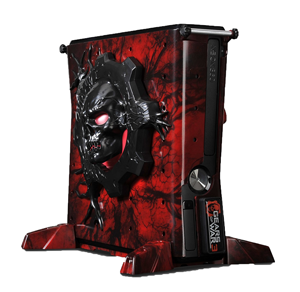 The Gears of War 3 Vault consists of all the great innovative features the base Vaults have as well as a Gears of War 3 nameplate, a custom painted "Bleed Out" chassis and body with the LED Illuminating Infected Omen. If you are truly a Gears of War player then this Vault shows your alliance- "Brothers to the End". The Gears of War 3 Vault consists of one chassis, body panels and locking mechanisms. Unique features include: controller cradle, Infected omen, and an exclusive hi-def' Bleed Out finish. The Infected Omen lights up in 4 different modes to give a unique Gears of War custom illumination. The LED features different color modes and a completely interactive Gears of War 3 experience! The Vault dynamically glows crimson red every time you are downed by an enemy, telling you to recover and get back into the action. Calibur11 will change the way your consoles fight back with armored vault cases that embody your unique gaming style. At Calibur11 we believe each gamer has definitive characteristics, and we want to help you become that vision. Whether you have a sophisticated saline style, or an in-your-face, take-no-prisoners attitude, we have a have something to represent what gaming means to you. 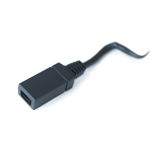 After our initial launch of Calibur11 Vaults for the Playstation 3 and Xbox 360 we moved on adding more products in the hands of gamers to make their experience more pleasant. Our craftmanship has been recognized by Epic Games (Gears of War) and EA (Mass Effect and Battlefield). Our experience has led to a range of succesfull accessories.